ISLJ International Sports Law Conference 2018 - Asser Institute - 25-26 October - Register Now! 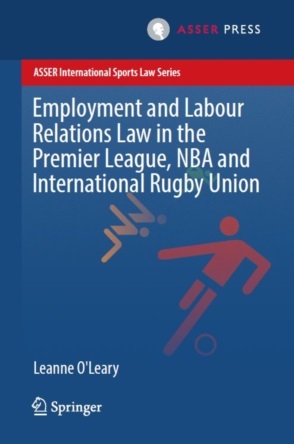 Last year we decided to launch the 'ISLJ Annual International Sports Law Conference' in order to give a public platform to the academic discussions on international sports law featured in the ISLJ. The first edition of the conference was a great success (don't take my word for it, just check out #ISLJConf17 on twitter), featuring outstanding speakers and lively discussions with the room. We were very happy to see people from some many different parts of the world congregating at the Institute to discuss the burning issues of their field of practice and research. This year, on 25 and 26 October, we are hosting the second edition and we are again welcoming well-known academics and practitioners in the field. The discussions will turn around the notion of lex sportiva, the role of Swiss law in international sports law, the latest ISU decision of the European Commission, the Mutu/Pechstein ruling of the European Court of Human Rights, or the reform proposal of the FIFA Regulations on the Transfer and Status of Players. It should be, it will be, an exciting two days! You will find below the final programme of the conference, please feel free to circulate it within your networks. We have still some seats left, so don't hesitate to register (here) and to join us. Looking forward to seeing you and meeting you there! Rumours are swirling around the decision (available in French here) of the Court of Appeal of Brussels in the case opposing RFC Seraing United to FIFA (as well as UEFA and the Belgian Football Federation, URSBFA) over the latter’s ban on third-party ownership. The headlines in various media are quite dramatic (see here and here), references are made to a new Bosman, or to a shaken sport’s legal system. 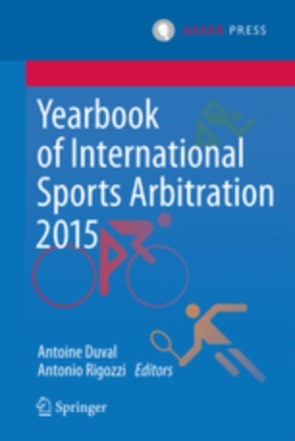 Yet, after swiftly reading the decision for the first time on 29th August, I did not have, unlike with the Pechstein ruling of the Oberlandesgericht München, the immediate impression that this would be a major game-changer for the Court of Arbitration for Sport (CAS) and the role of arbitration in sports in general. After careful re-reading, I understand how certain parts of the ruling can be misunderstood or over-interpreted. I believe that much of the press coverage failed to accurately reflect the reasoning of the court and to capture the real impact of the decision. In order to explain why, I decided to write a short Q&A (including the (not water-proof) English translations of some of the key paragraphs of the decision). Editor’s Note: Etienne Gard graduated from the University of Zurich and from King's College London. He currently manages a project in the field of digitalization with Bratschi Ltd., a major Swiss law firm where he did his traineeship with a focus in international commercial arbitration. However, among the overall appraisal regarding the New York Convention, some criticisms have been expressed. For instance, some states use their public policy rather as a pretext not to enforce an award than an actual ground for refusal. A further issue is the recurring bias in favor of local companies. Additionally, recognition and enforcement procedures in application of the New York Convention take place in front of State authorities, for the most part in front of courts of law, according to national proceeding rules. This usually leads to the retaining of a local law firm, the translation of several documents, written submissions and one, if not several hearings. Hence, the efficiency of the New York Convention as a recognition and enforcement mechanism comes to the expense of both money and time of both parties of the arbitral procedure.